I first came across this creature in Magic: the Gathering’s Kamigawa expansion. 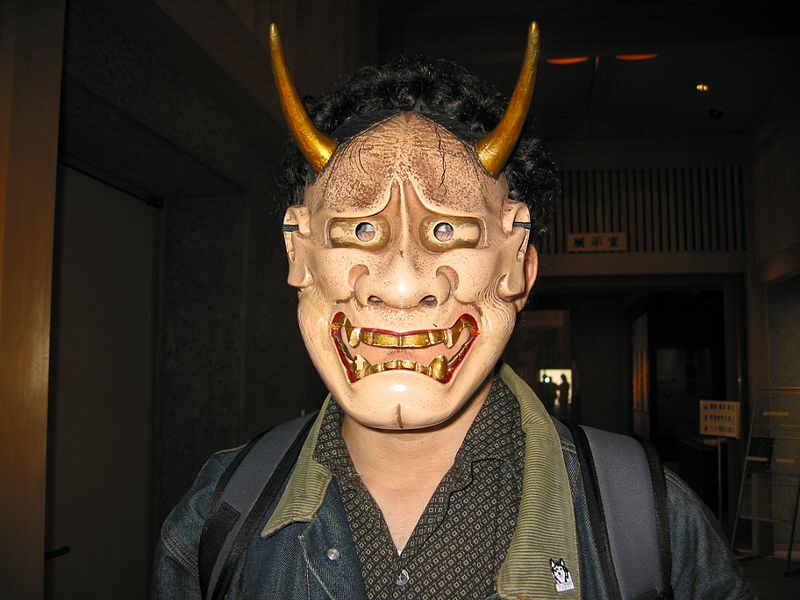 An oni is an ancient eastern monster often with red/blue skin, an ugly head with horns and sharp teeth. The story tell of how they were once men, men that were so wicked that they became oni when they died, some of them were so wicked that they became one in life – often through a mask that they had been wearing to disguise themself fusing to their skin. These beings are so evil that they attract other evil beings to them. The theories is that Oni once just meant a ghost or soul it only over time that it has come to mean evil ghost or being. Since this monster is depicted with horns it is often seen as a demon when put into a western framework, but could also be seen as an ogre, giant, or poltergeist. In the media they are seen as a Japanese monster but it appears they actually come from a form of Buddhist mythology that has roots across north Asia. They are often depicted as demons like in magic the gathering where they had two types of them the big bads were demons and the lesser ones that were under them which were a type of ogre. An ugly human face with horns, sharp teeth, glowing yellow or red eyes and they usually have black messy hair on their head and face. The body can be very muscular or have a very big gut. The arms are strong and muscular with big hands that usually carry a metal club. Strong muscular legs with big feet. They usually have red or blue skin. Are about 8ft tall – larger than any man. Where it can be found (if need). They can be found anywhere, but they have been known to hide until they an army of evil beings following them. You could have a story where someone becomes one and they seen the error of their ways and they try to turn them self back to human but they have to act against their nature to do so. Since they attract evil to them you could have one set up near a peaceful town and then all these bad things start happening and the party have to work out what the cause is. You could have the party get into town on the night of hyakki yakō which is the night parade of one hundred demons, and see what the party do when surrounded by monstrous beings that are currently well behaved.